The government of Ecuador is bowing under the pressure of the overwhelming mass migration of Venezuelan citizens fleeing their crumbling socialist country. Ecuador is seeking $550 million to provide aid to Venezuelan citizens who are overwhelming the tiny country. Ecuador is only about the size of the U.S. state of Montana and is facing an economic crisis as a result of the influx of migrants. The country is hoping to raise the over half a billion dollars through donations from multiple agencies and allied countries, according to an Ecuadorean official. To help deal with the issue, delegations from a dozen Latin American countries got together for a meeting in Quito Thursday and Friday. At the meeting, the dozen Latin American countries discussed how they could coordinate plans to deal with the Venezuelan migration crisis. Santiago Chavez, deputy minister of human mobility, said Friday, "We have quantified Ecuador’s medium- and long-term needs at around $550 million. This has to do with health, education, housing, and employment needs." $550 million is a lot of money and could do a lot of good for a country like Ecuador. It is a shame that the money will be used for non-citizens instead of helping the native Ecuadorians. 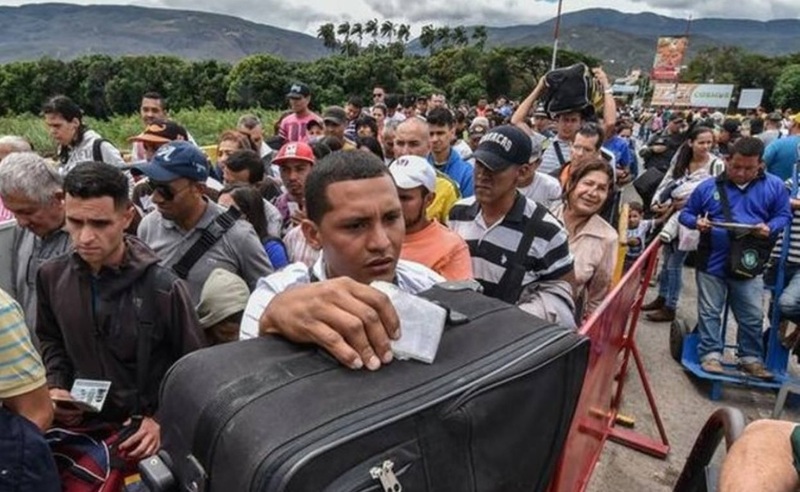 The country puts the number of Venezuelan citizens who have entered the country illegally around 600,000 but that number could be much higher. Most of the migrants entered into Ecuador by crossing the Colombian border, many of them with plans to continue to Peru. Chavez added that Ecuador is seeking to guarantee the migrants' human rights and ensure they will be relocated in an orderly transition. The country's government is also hoping to obtain help in the form of resources from regional multilateral organizations. One solution Ecuador is considering is creating a fund financed by Latin American countries in the region. Chavez added that it has already arranged another meeting in Quito, this one to take place on November 30 and will include the United States, Canada, Japan, Qatar, and the European Union. According to the United Nations, around 3 million migrants have left their home country of Venezuela since 2015 alone. The citizens are fleeing the absolute collapse of Venezuela after just five years under a socialist government. The economy in the country has collapsed and many cities lack the infrastructure to even generate electricity leaving hundreds of thousands without power. "It is a shame that the money will be used for non-citizens instead of helping the native Ecuadorians." Hahahahhaha. How do you think homeless and hungry Americans feel everyday when we waste money on other nations ahead of our own? I am an american expat living in EC for over 5 years. The folks have been trickling into EC for 3-4 yrs but in the last year the folks have poured through. The very poor and destitute are quite visable. With only the clothes on their back, shoes with holes, they sleep with dozens in a single apt. If not along the rivers in town. But they are a proud people and better socialized than the EC folks in general.